With child's arms down, slip tape under arms and across chest and shoulder blades, holding tape ﬁrm and level. Measure around the smallest part of child's waist (natural waistline). With child standing, measure around the fullest point of their hips. 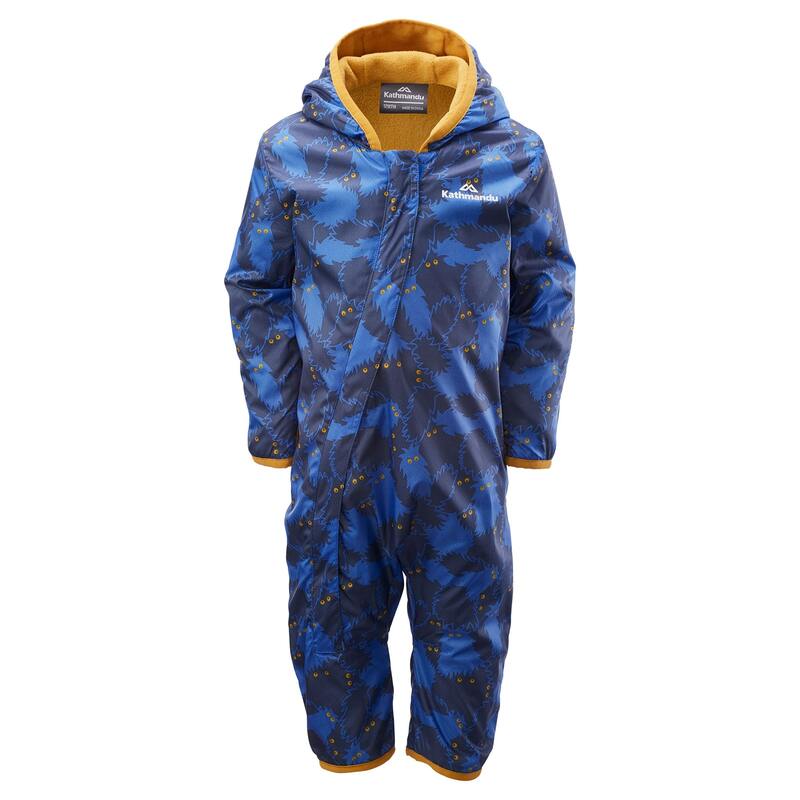 Keep babies and toddlers dry and warm in our hooded Bambino Kids’ Jumpsuit v5. This cosy jumpsuit is perfect for winter outings, with a Durable Water Repellent (DWR) finish and foldaway hand-warming mittens. The Bambino is fleece-lined with breathable and quick-drying fabric and has a wind resistant outer for extra protection against the elements. WARNING: in accordance with AS/NZS 1249:2003 this garment carries a warning label for high fire danger. This garment should be kept away from all types of heat sources at all times. This includes but is not limited to electrical appliances, kerosene or gas heaters, open fires, gas burners or electric hotplates.